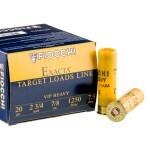 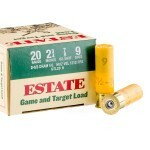 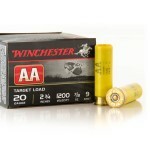 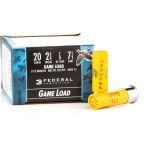 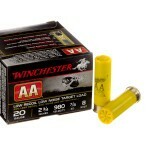 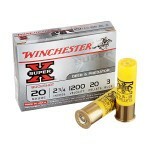 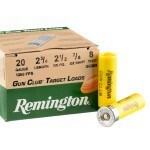 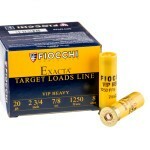 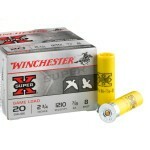 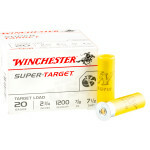 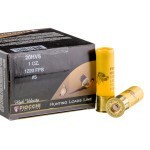 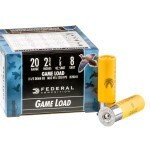 20ga ammunition typically fires 7/8 or 1 oz. 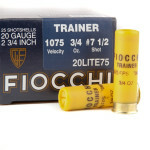 of shot at a muzzle velocity of between 1,200 and 1,350 feet per second. 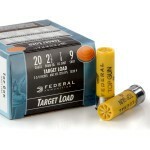 As with the 12 gauge, defensive loads are usually loaded somewhat light to produce a balance of reasonable recoil and stopping power with enough penetration to defeat an assailant without causing undue risk to bystanders or property. 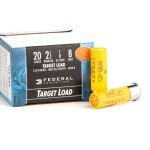 These loads can be fired relatively quickly in emergencies without becoming uncontrollable. 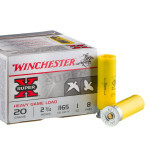 In contrast, hunting loads tend to emphasize the power of each shot, using more powerful powder charges to enhance effective range and terminal performance against deer and other game at the cost of greater recoil. 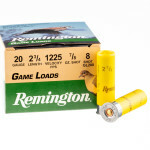 20 gauge slugs typically weigh 5/8 or 3/4 of an ounce and can be used effectively at ranges far beyond the reach of buckshot. 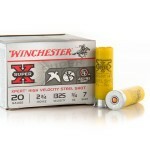 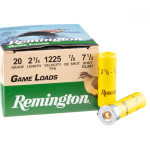 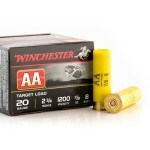 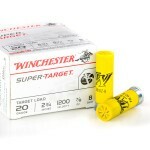 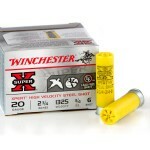 Some 20 gauge shotshells use a 3" length to approximate the power of a 12 gauge shotgun without the need to switch to another weapon. 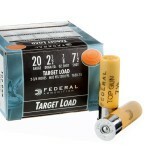 Shotguns capable of firing these loads tend to be somewhat heavier, as a 3" load almost invariably produces more recoil than one fitting into a 2-3/4"" hull. 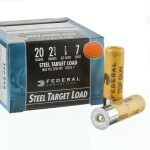 This configuration is especially common for waterfowl loads, which fire steel shot at higher velocities.